Stay in motion for life! Due to demographic change, the compensation of mobility impairments has become increasingly important. Intelligent technologies for motor rehabilitation are the key to regain an independent ability to move. 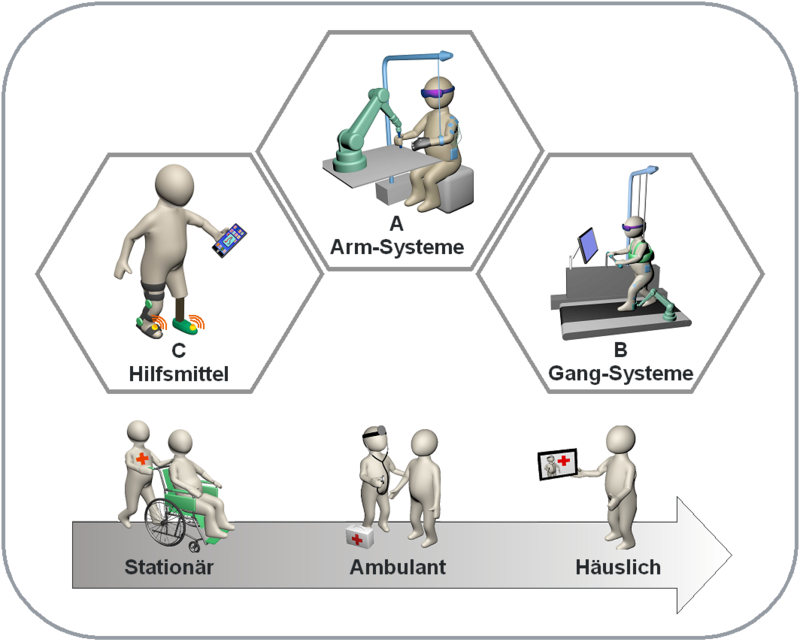 The Project focus on the support of motor impaired people in regaining their independent ability to move and daily mobility. Adaptive technology systems and new therapeutic treatment approaches are specifically aligned according to the requirements and needs of those affected. 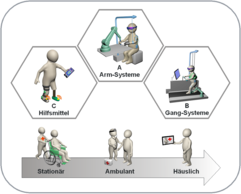 The aim is to develop innovative adaptive aids and (therapeutic) training systems such as intelligent prostheses, orthoses (brace therapy), rehabilitation robots and virtual reality systems, on the basis of the direct physical interaction between humans and technology. User perspectives, everyday suitability and data protection will be particularly considered in an interdisciplinary way.